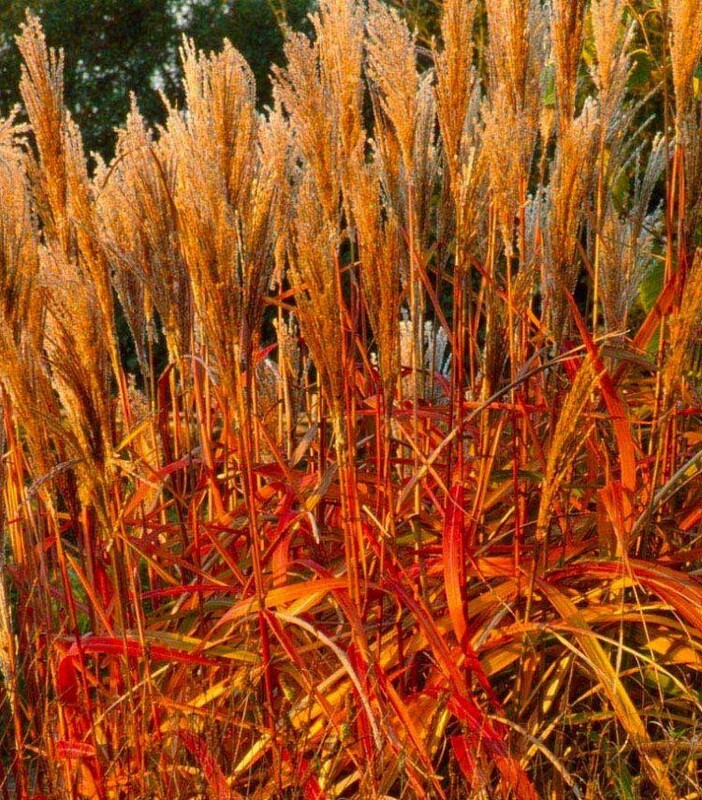 This spectacular hardy perennial grass will make a lovely foliage feature in your garden. 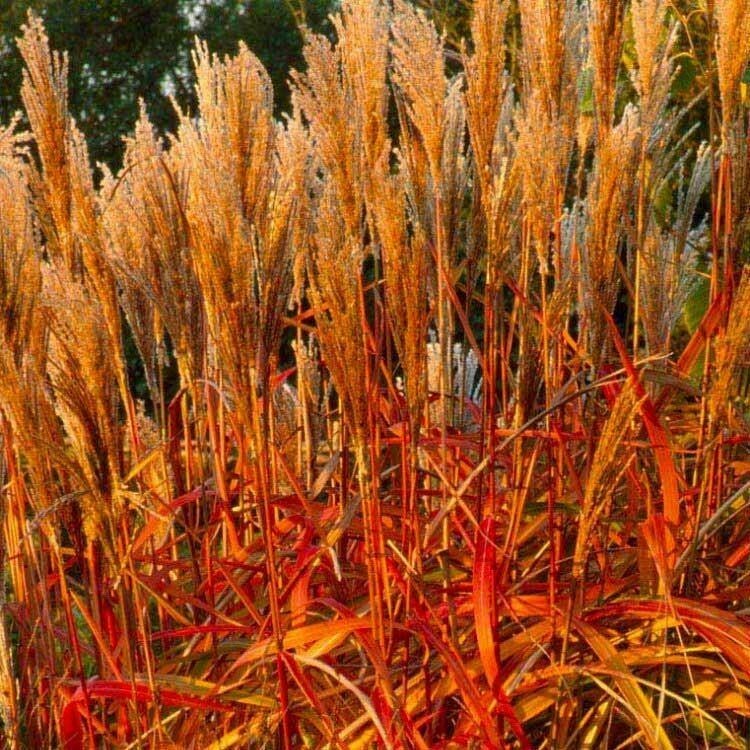 Miscanthus Indian Summer grass produces clumps of slender arching mid-green leaves, which changes to sunset colours in the Autumn. Highly recommended, for this sensational colour and structure, given space it can make a striking specimen plant, creating a dramatic impact where ever it is planted. This grass also carries tassels of silvery-white flower plumes that are long lasting. These make an elegant focal point and stand well into winter for good seasonal interest. Miscanthus Indian Summer is also perfect for creating a superb backdrop for summer perennials in large beds and borders, or simply clumped by the waterside of a garden pool. We like it used at the back of a herbaceous border, combined with Sedum Herbstfreude, Euphorbia griffithii and Rudbeckia Goldstrum, it will dazzle in the Autumn garden. The ideal plant for adding an extra dimension of height and structure to garden borders or even patio planters in summer, we also love the way the breeze makes a relaxing sound as it teases its way through the foliage. Perfect for a sunny, well drained border, with the frosted upright stems and flower-heads creating a significant feature to a winter garden. This grass is an easy to grow ornamental grass and requires little maintenance once established in the garden. Supplied in approx 10 litre containers as extra large strong specimen plants, ready for instant garden interest.